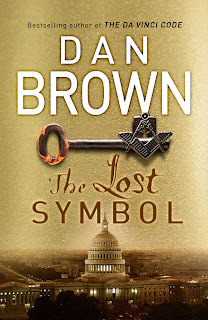 Finished The Lost Symbol by Dan Brown last night. I had to finish it before I went away because it takes up a lot of space... stupid large hard covered books. It was good, not excellent, no where as good as The Da Vinci Code, and maybe even Angels & Demons. There was a twist that I didn't see coming (Mal'akh was really Zach, Peter Solomans son who was supposely murdered in prison by Mal'akh) and one I expected but never came (Sato was in cohorts with Mal'akh, but alas she wasn't, she was just annoying and commanding) and at one point I seriously thought it was the end of Robert Langdon.... he died... I seriously thought that he was dead, because I wouldn't put it past Dan Brown to kill off his main character, but then again Robert Langdon is Dan Browns money maker.... but all is well he wasn't dead.... because instead of drowning in water, he "drowned" in Total Liquid Ventilation ie Breathable Liquid. It seems a bit far fetched to me, but apparently it's entirely possible, we spend the first 9 months of our lives submerged. The story was enjoyable. And surprising easy to read. (I started on 15th September, finished on the 29th... the book is just over 500 pages) I'm now completely fasinated with Washingon DC now. I don't know how long it will last. But unfortunatly this book, to me, is a one time read, because once you know the twists and turns it's just not as exciting. Just got off the phone from my Auntie, who is already in Melbourne and she has managed to score me and my sister free passes to the Eureka Skydeck in Melbourne. It's the tallest building in Australia. It also has "The Edge" a glass box that sticks off the edge of the building. I hope when we get there the weather is nice enough so we can go on it. I've been reading about it and apparently you can't take photos on The Edge, but you can purchase a photo after. I need to figure out some other things to do while we're there. 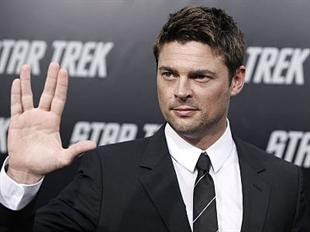 I'm hoping Star Trek is still showing at IMAX... and I just checked. It is! WOO HOO! The first of the big day out lineup has been announced and Muse are headlining. Along with Muse are Rise Against, Lily Allen, The Horrors and heaps more. But MUSE. I'm going to actually get to see MUSE. YAY! I'm sure if I was still at highschool I would have more interesting things to write about. I could talk about work, but this blog is linked to my facebook and I'm friends with people I work with. 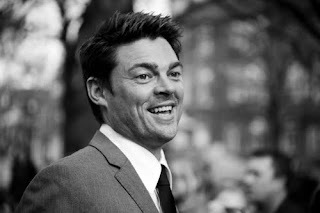 I could picspam my blog with random images. I'm a fussy anime watcher. I like some and hate others but I'm not going to judge you because you like something I don't. 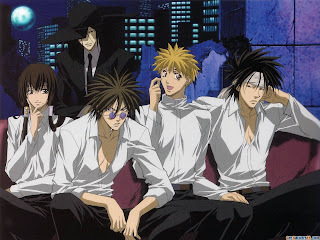 My favourite anime is called Get Backers, it was really the first anime (other than Sailor Moon) that I watched. I also have the Manga for Get Backers... so far I have 27. 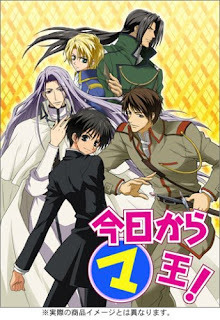 I also like Kyo Kara Maoh, Trinity Blood, Death Note, Wallflower and Ouran High School Host Club. I own DN Angle but haven't seen it all, and I have Scrapped Princess but haven't watched it (I probably should) I love anything and everything by Studio Ghibli. 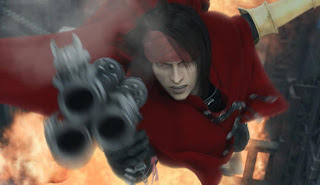 And last but not least Final Fantasy Advent Children and Dirge Of Cerebeus featuring the one, the only Vincent Valentine. But like I think I've already mentioned (a couple of times) Get Backers is my favourite. 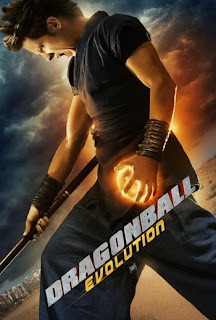 I really think, that if you haven't seen it you should. Here is a pic of most of the male characters. Like I said ALL male. 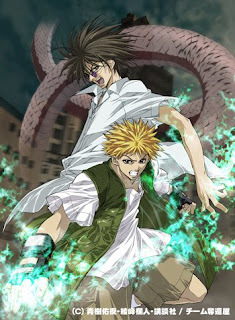 only the best and awesomest anime EVER! David Bowie! OMFG. if these rumours are true. OMG. David Bowie. My sister Kaitlin would be estactic. Muse - one of my Favourite band in the whole universe, possible headliner at BDO. Someone decided that it would be funny if they vandalized the Stop sign outside our house. I'm glad it wasn't the usual STOP "hammer time" like most of the Stop signs around town. 4 more sleeps until I go away. On my big adventure. I sound like a small child waiting for Christmas. I'm going crazy writing lists. that's about it.... for now! I'm crazy I know. I just love writing lists. Okay so next subject. I bought a purple double breasted trench coat. It's awesome and I love it. It will be prefect for my trip. Was driving home from work today. Along a tree lined road with the sun setting in found of me with Resistance by Muse playing loudly. It was awesome and beautiful. Going shopping with mum tomorrow. I specially "booked" her so I could go in with her only and leave my sisters at home. I have Glee episode 2 to watch tonight but I'm watching The Andromeda Strain on tv. Working tomorrow night, then I have Sunday off. Looking forward to going away on Thursday. I'm excited and scared and nervous. It's such an adventure for me. I have one of those money tins that you have to open with a can opener. It was so I could save for my trip. Well I opened it today. and guess how much money was in there. $950.... I'm freaking rich. There was some silver coin, but I gave it to my little sister. But seriously $50 more and I would of had a grand. Well technically I will have more, because pay day is the first Friday I'm away, and I've worked everyday this week. I won't end up spending it all, but I might get close. Just means when I come home I might be able to finally get a PS3 and LITTEBIGPLANET! Yay! I watch the DVD that came with The Resistance by Muse, and it was awesome. It showed the behind the scenes making of each song on the album, and now I'm pretty much in love with all the songs. Even "Undisclosed Desires" which sounds really hip-hop. I'm housesitting/dogsitting (i hate dogs and she has 2 =( )for my friend this weekend. It's a long weekend because the AFL Grand Final is on Saturday (i guess it can be described as the Super Bowl of Australia), but I don't follow any sports so it doesn't bother me, and since there are no Western Australian teams in the final it won't be that bad. I remember working on the day a couple years ago when the West Coast Eagles won. So many crazy drunk fans. It was so quiet during the day, and then when it was finished they were everywhere. Crazy Drunk Football fans. My sister is finally moving into her new room. Which means all her stuff is leaving mine. Which means I can finally clean. I hate having an unorganised bedroom. And for the last couple of weeks it's been very very very uber unorganised. Anyway gotta go get ready for work. recently found out (like 3 minutes ago) that ZAC EFRON has a small role in Joss Whedon's FIREFLY. I looked it up and he plays Young Simon in the episode "Safe". 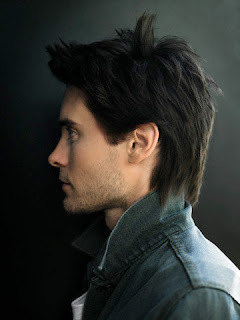 I watched it and it's so him, and he's so young. hehehe you could almost say that Joss Whedon started Zac Efrons career. this time next week I will be sitting at the Perth Airport waiting to board my plane to Melbourne. Milky Bars, 2 reasons. One, the milky bar kid looks like Kevin Rudd (the Australian Prime Minister) and two, white chocaloate is YUM! new Neil Gaiman book, well it's not overly new. it's called Odd and the Frost Giants. it's a short story with illustrations by Brett Helquist. Woohoo. It's so shiny and awesome! I'm so excited. 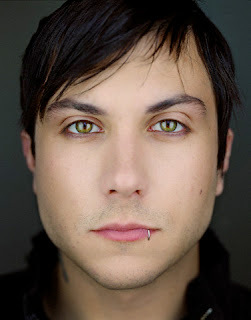 HIM, My Chemical Romance, AFI, Escape The Fate, Taking Back Sunday plus more! I hope no-one exciting pulls out. 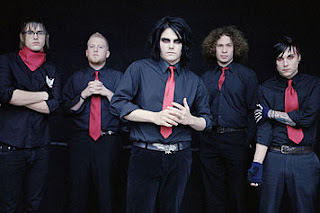 Paramore is also going to be at Soundwave, which is pretty cool, but it probably means there will be a lot... and I mean A LOT of Twihards there =( not that I have anything against the books, just the obsessive fangirls (and boys.... yes I know some Twilight fanBOYS) who will be there. But i'll get over it. 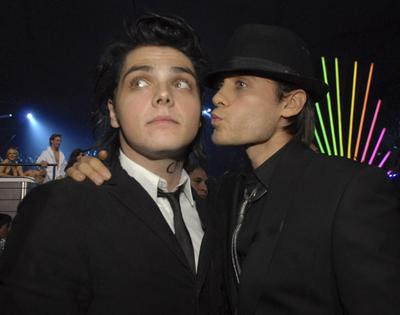 YAY VILLE VALO! That's Like a B- right? I promised the quiz that I would blog about my result... so here I am. 78% addicted to blogging. I'm currently waiting for the new iPhone update (3.1) to download. It's one of the only things that annoys me about the iPhone... the 300+ Mb updates. This is my 5th attempt at downloading it, because everytime something happens.... Dad turns the power off, mum trips over the internet cord, iTunes decides it hates me... so hopefully (fingers crossed, knock on wood) it works!!! I started the new Dan Brown book a couple of days ago.... and I'm having trouble putting it down. I got into bed at 11pm last night and then read, when I looked at the clock it was 3am. Stupid Dan Brown and his short chapters and cliff hangers at the end of chapters, but the next chapter is about someone else in the story and so on. =( But it's a excellent story so far. Anyway that's all for today. I'm really busy over the next week so you might not here from me for a while. Patrick Swayze died today. He was sick and we all knew it was going to happen sooner rather than later. It's always sad when someone who contributed so much to our lives dies. RIP Patrick Swayze. I did this one a couple weeks back. You should check it out because it's visual. As of today, I have been Facebook free for a whole Month! Go Me! Facebook is so overrated. 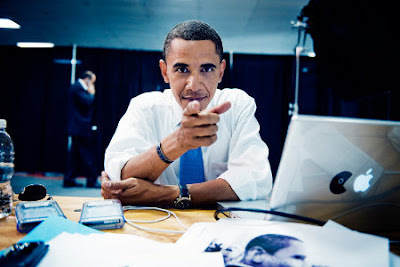 If I want to post a photo I post it to Flickr, If I want to tell you something exciting I post it here or even Twitter. 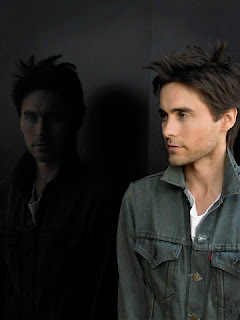 5 MONTHS UNTIL HIM RELEASES THERE NEW ALBUM! YAY! I told you Dr Horrible's Sing-Along Blog was AWESOME. This just proves it! 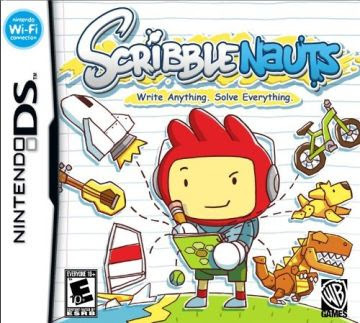 Preordered my copy of Scribblenauts from EB Games so I can get a "Rooster Hat". Donald (the manager) say he'd ring me if it came in earlier, because I told him I was going away. YAY! I can't wait until its out. 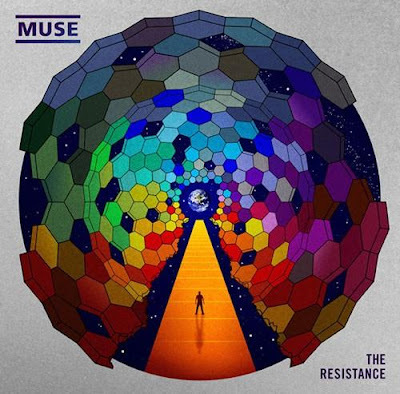 I'm also looking forward to the new Dan Brown book, and finally listening to the new MUSE album, The Resistance. I have it, sitting next to me, but I have to go to work so I'm going to leave the listening until I get home. Scribblenauts anticipation. Was due to be released this week, but has been kicked back until 30th September. I wanted it for my trip to Victoria (I leave on 1st Oct) so hopefully I can get a copy before I go. Should reserve it from EB Games and get my "Rooster Hat"
Artwork by The Used - see previous blog about it. My sister working with me. Now if I ever need someone to cover my shift, I won't have to waste credit ringing people, I can just walk into the other room. WOOO! Being halfway though renovations. We have no kitchen and brand new plaster on the walls. It's so exciting. We're been talking about renovation for ever and now it's happening. My little sister has started working at Blockbuster with me, which is awesome and it's only 3 weeks until I go to Victoria and Tasmania. YAY! Testing the new Blogpress app. It allows me to post to multiple blogs at once. 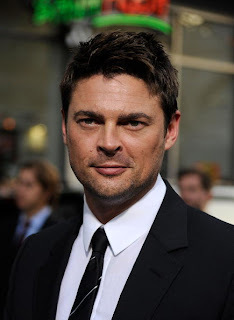 And post images. That's pretty cool. It has been 100 years since this last happened. And it will be another 100 years until it happens again, so unless we live for a long time we'll probably never see this day again. EVER! Just ordered 3 books. I love books. 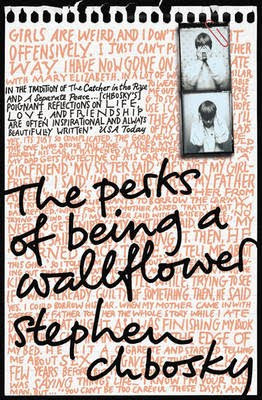 THE PERKS OF BEING A WALLFLOWER by Stephen Chbosky - Haven't read it. Want to. I tried the town library and they don't have it, so I had to order it. Luckily it was only $16.99. 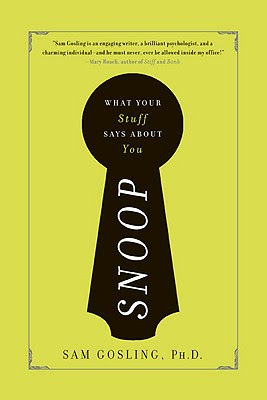 SNOOP by Sam Gosling - Read an exert in a magazine about a year ago, and it's been in my wishlist since then, the price has being going up and down for a while, but I finally got it at under $20. YAY! it's about what the items you own say about you. 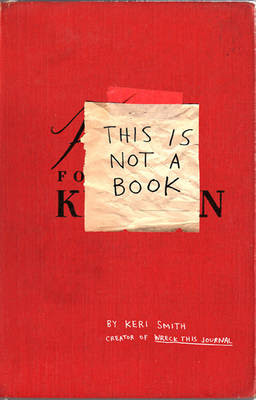 THIS IS NOT A BOOK by Keri Smith - If you don't know who Keri Smith is, you need to find out. She creates the most wonderful and creative books. Her best seller is Wreck This Journal, and the main idea of the book is to destroy it. This one is her new one, I don't know anything about it, but it should be good! I love books. all sorts, I'm currently reading Pole to Pole by Michael Palin. It's the diary and journal entries from when he traveled from the North Pole to the South Pole for a tv series. The new album by The Used is AWESOME. I know I say a lot of things are Awesome, but seriously. 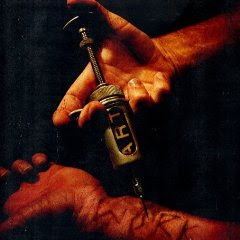 You need to go out and buy Artwork by The Used. My favourite songs are "Empty With You" and "Kissing You Goodbye", I love Bert. I know he's not the best role model (drinks, drugs, dirty, etc.) there is something about the songs he (and the rest of The Used) write. Even if you're not fans of The Used, you need to at least try. There is no harm in listening, the worst thing that will happen is, you don't like it, then you move on. Also. I finally got my Delicious account to work so check out all my favourite websites. You are NOT ALLOWED to explain ANYTHING unless someone messages or comments you and asks. -- and believe me, the temptation to explain some of these will be overwhelming nothing is exactly as it seems.Now, here's what you're supposed to do. . . Copy and paste this into your blog (etc. ), delete my answers, type in your answers. Robert Downey Jr as Lestat.... Anne Rice thinks so. David Tennant or James Mcavoy as Bilbo Baggins... I WISH! Thats really it. and the fact I'm going on holiday in 4 weeks! YAY!